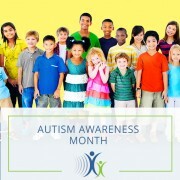 Did you know that April is National Autism Awareness Month? This month, we’re joining in to support Autism awareness. 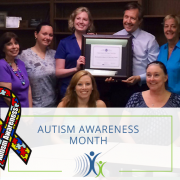 As the first healthcare provider in Northeast Florida to become a Certified Autism Center, we strive to participate as an advocate for all those who identify as part of the autism spectrum. One of the goals of this month is to educate the public about autism, including the most common signs of autism. Most people know someone with autism, but not everyone understands the specifics of this condition. Officially called autism spectrum disorder or ASD, autism is a complex mental condition that affects the way a person interacts with those around them. 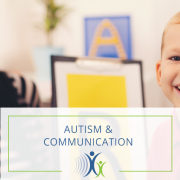 Although we do not know the exact cause of this condition, many studies indicate that enhanced awareness, early autism detection, and access to certain services can drastically improve outcomes. Of course, more than a day is needed to promote awareness, but we have to start somewhere, right? Check out these easy ways to spread awareness of this condition. 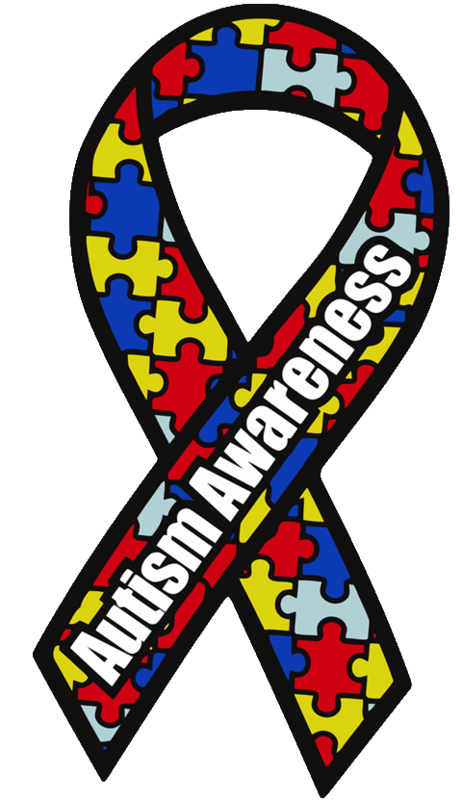 One of the ways to promote autism awareness is to wear the puzzle piece ribbon. The brightness of the ribbon is designed to symbolize hope for increased awareness of this condition. When people show their support for autism by wearing the ribbon, they’re promoting early detection as well as easy access to the necessary services for individuals with this condition. To show your support for autism awareness, consider wearing the colorful ribbon as a pin on your clothing or place a ribbon magnet on your car. There are many opportunities to spread autism awareness by getting involved with national organizations. Many experts recommend participating in one of the several walks held each year. 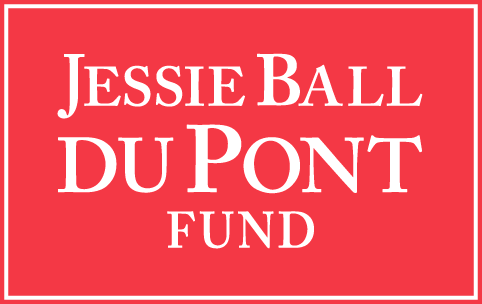 are also some great opportunities to show your support. Always remember that showing your support for this condition can be as simple as spending time with someone who has autism. Whether you are spending time with a loved one or a stranger, showing your support by showing that you care can make a huge difference. In your free time, you can show support by researching the policies that are impacting the autism community in order to obtain a better understanding of what many people along the spectrum face on a daily basis. In addition, consider using your downtime to perform research on how the autistic brain works and common signs of autism. 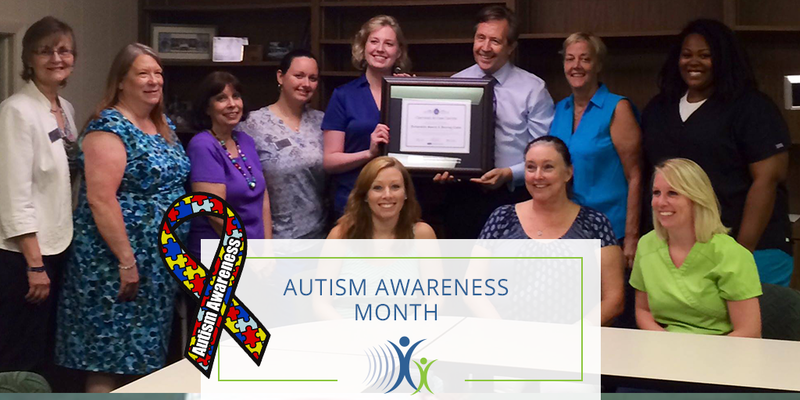 The Jacksonville Speech & Hearing Center prides itself on providing a friendly environment to support early autism detection. 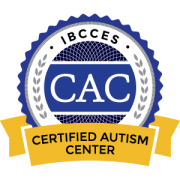 As a Certified Autism Center through the International Board Credentialing and Continuing Education Standards (IBCCES), much of our staff has undergone training to receive certification of autism care. 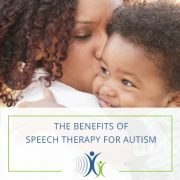 A speech pathologist at our center is trained to encourage patients to see and touch materials, share a patient’s diagnosis with family members, ask “yes” and “no” questions to patients, speak to patients in a factual and direct manner, prevent sensory overload, use treatment that does not disturb patients, and usher patients to quiet rooms. 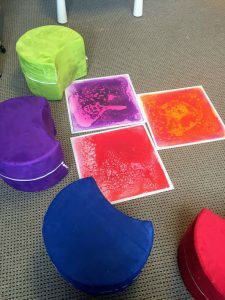 One such room is our special sensory room that has its own separate entrance that limits external stimuli, and includes several innovative features such as a giant wall iPad as well as special pillows designed to help patients with autism feel safe. If you’d like more information about our autism speech and hearing services, please don’t hesitate to give us a call today! A speech pathologist at our Center will be happy to help you. 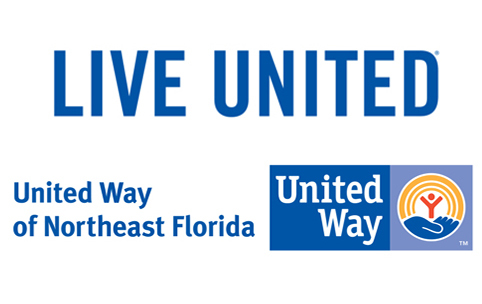 You can schedule an appointment by calling (904)-355-3403 or contacting us online. We promise that you’ll be very happy that you chose The Jacksonville Speech & Hearing Center.